January 16. 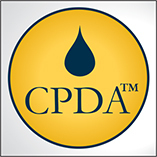 2019 is the deadline to submit your application to take the February 27, 2019, Certified Petroleum Data Analyst Exam. The application deadline to take the February 27 Exam is January 16, 2019.